Mercuric Oxide: Mercury batteries were commonly used in many classic cameras of the 1960s and 1970s for their CdS (cadmium sulfide) metering systems. Mercuric oxide batteries provide a constant and stable 1.35 volts over most of their life. This means that the camera does not have to have voltage regulation circuitry, considerably lowering the cost of production. Unfortunately, mercury batteries were outlawed in the U.S. in the 1980s and are not readily available anymore. However, all is not lost. There are several solutions below. Alkaline (zinc/manganese dioxide; Zn/MnO2): This is the chemistry used in your standard alkaline battery (C, D, AA, AAA, etc.). New batteries give 1.5 volts which quickly declines over the life of the battery. Alkaline batteries have high internal resistance which means they will not discharge quickly. This reduces their usefulness in high-drain devices such as camera flashes or motor drives. Standard and Heavy-Duty (zinc/carbon and zinc-chloride): This is the chemistry used in “standard” and “heavy-duty” batteres (C, D, AA, AAA, etc.). New cells give 1.5 volts which quickly declines over the life of the cell. Zinc-Carbon batteries have less than a third of the storage capacity of “Alkaline” (ZInc-Manganese dioxide) batteries and we do not recommend their use in any situation. Silver-Oxide: Starting in the 1970s, camera manufacturers started to move to silver-oxide “button” batteries. Silver-oxide cells provide 1.55 volts fresh out of the can, but then the voltage slowly drops over the life – not as much as alkaline batteries, but more than mercuric-oxide. This means that cameras could not depend on the voltage being stable and started to use what are called “bridge circuits” to reduce the effect of the falling voltage. Lithium (LiMnO2): Into the late 1990s, even relatively simple mechanical cameras such as the Leica M7 were power-hungry as they had sophisticated CPU units drawing power. Camera manufacturers started to push the use of lithium cells with Lithium Manganese-Dioxide (LiMn02). These cells have names that start with “CR” such as: CR2032, CR1/3N, or 2CR5. Based on light metal chemistry, lithium cells have incredible storage capacity for their size — many times that of alkaline or silver-oxide batteries. They also have much better cold weather performance as well as a shelf-life of 10+ years. The only downside is that lithium is a pollutant, so dispose of your lithium batteries at an approved recycling center as LiMnO2 cells are not rechargeable. Rechargeables: Nickel-cadmium (NiCad) batteries are rapidly being eclipsed by newer Nickel-Metal-Hydride (NiMH) rechargeables. In the common AA size, NiMH batteries can store up to 2400 mAH. Unlike alkalines, NiMH have low internal resistance which makes them ideal for the fast refresh cycles of camera flashes (warning: not all flash units are compatible with NiCad/NiMH batteries). For digital cameras, NiMH itself is rapidly being replaced with Lithium-Polymer and Lithium-Ion (LiPo and Li-Ion) batteries. 1) Four 1.5v SR44 batteries, a PX-28A or PX28S can be used for cameras that don’t mind the voltage difference. 2) Minox used to sell an adapter for the Minox 35 that would allow SR44 batteries, you may be able to still obtain one at a camera store or ebay. Left to right: 25c spring, alkaline PX-28, and the original PX-32. Use the spring and a cardboard tube to approximate the size of the PX-32. 1) Many cameras including the GSN can take a PX-28A 6V alkaline battery with a small spring inserted to take up slack (see Matt Denton’s solution). Wrap the PX-28 in some cardboard to make it roughly the same diameter as the PX-32, then use the spring to take up the difference in length. 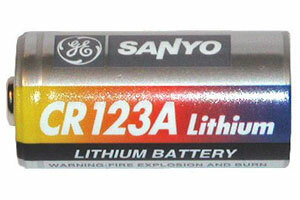 2) Four 1.5v LR44 batteries can also be used, similar to solution #1. 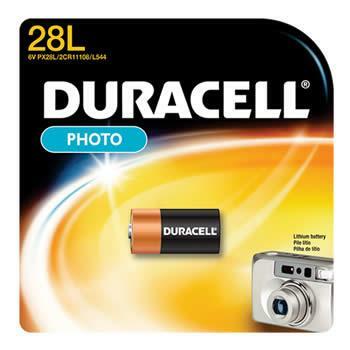 3) Some stores (check PhotoBattery.com) still have the discontinued 6V alkaline PX-32A batteries, although these may be older stock. Check the expiration dates. 4) Some cameras (not the GSN) require adjustment to the metering circuitry for the difference between 5.6V and 6V batteries. 5) Yashica Guy adaptor or the CRIS HM4N Adaptorand alkaline PX28A batteries. These contain diodes to take the voltage down to 5.6V. Asahi Pentax Spotmatic SP, SPII, SPIIa, etc. 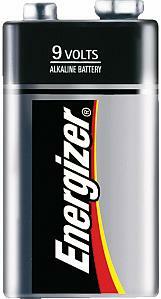 1) The 1.55v silver oxide Energizer E387S is an exact fit. This is also sold as the Radio Shack 387S (RSU #11608452), but is a special RSU order. PhotoBattery.com has the S400PX as a replacement. 2) Both of the above are 1.55v silver oxide. They work with the Spotmatic which has voltage regulating bridge circuitry, but other older cameras may be more problematic. 3) CRIS H-B Adaptor and silver 377 batteries. The CRIS adaptor has a diode to take it down to the proper voltage, although the Spotmatic doesn’t need the lower voltage. 4) Wein zinc-air cell have a stable voltage over their life and are thus suited to many older cameras. The disadvantage is that these only last a few months. Sources for Wein cells noted below. 2) Others can take a PX-625A with adjustments made to the metering circuitry. You can solder your own diode in directly, if you have the right skills (don’t ask me, I don’t). PhotoBattery.com has PX625A replacements. 3) Wein zinc-air cell. The disadvantage is that these only last a few months. Sources for Wein cells noted below. 4) CRIS MR 9 Adaptor and silver 386 batteries. The CHRIS adaptor has a diode to take it down to the proper voltage. 2) Apparently the Hi-Matic can take a LR44 as well, but I have not tested this. Beware! 1) Some cameras can take a 1.5V SR44 silver-oxide battery instead. The height is the same but the diameter is slightly smaller. 1) These are still being manufactured. Most speciality stores should have them. This isn’t a mercury cell, but still odd enough to note on this page. 2) BatteriesPlus and PhotoBattery.com stock them regularly. 2) Radio Shack stocks it as Catalog #960-2089, but it isn’t a store item and must be RSU ordered. 3) Batteries Plus stocks them regularly. Lots-n-lots of cameras, light meters, pocket alarm clocks, laser pointers, darkroom timers, calculators, etc. 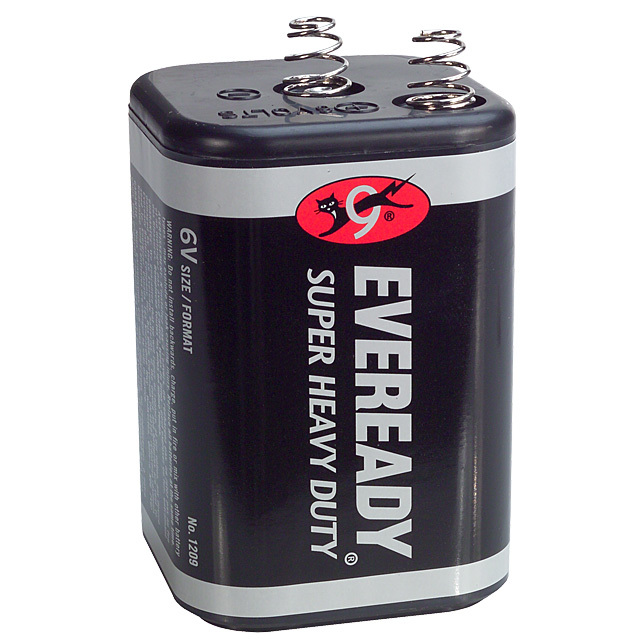 This is a pretty popular size of watch battery. You should be able to get it in any drugstore or supermarket fairly easily. 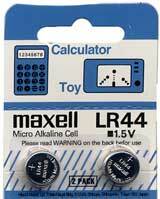 Make sure you get the silver-oxide SR-44 and not the “equivalent” but less powerful alkaline LR-44. 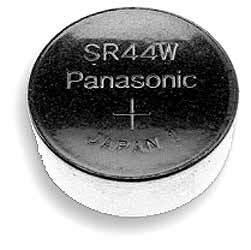 Exactly the same size as the silver-oxide SR44, the LR44 is a very common battery and should be readily available just about anywhere. Note: This is the wimpy version of the silver-oxide SR44. It has much less power but is often half the price. Since a dead battery in a camera is a Very Bad Thing® and usually happens far far away from a camera store, I don’t recommend the use of alkalines. Use the SR-44 instead. The alkaline version of this cell is LR54. Where possible, use the silver oxide version as it has more energy. The alkaline version of this cell is AG7 / LR57. Where possible, use the silver oxide version as it has more energy. This is a relatively uncommon battery and I had a little bit of trouble finding it. It’s also more expensive than other silver-oxide cells in the same size. These are not that easy to find in local stores. Zbattery.com is the only place that I’ve seen them regularly stocked. I use 4 x SR-44 batteries instead, wrapping them in cellotape. There is also a Lithium version PX28L or 2CR1/3N that has more capacity (see below) and can often be used in the same cameras that take the PX28S. Note: The shelf-life of this is about 8 years. In a pinch, you can use 4 x SR44 batteries instead. Note that it’s often cheaper to use two stacked CR1/3N batteries instead of a single PX28L. Note: The shelf-life of this is about 10 years. In a pinch, you can use usually use a PX28L, two stacked CR1/3N batteries, or four stacked SR44 batteries instead. Yashica G models (w/ adaptor). Note: This is the wimpy version of the Lithium PX28L or silver-oxide PX-28S. It has much less power but is almost the same price. Since a dead battery in a camera is a Very Bad Thing® and usually happens far far away from a camera store, I don’t recommend the use of alkalines. 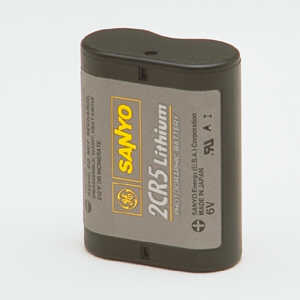 This battery is commonly used in the Canon EOS professional film cameras. Its advantage was that it fit right into the battery grip. The 2CR5 looks suspiciously like two CR123A cells stuck together in a single package. I wonder if it wouldn’t be possible to make an adapter since CR123A cells are pretty cheap. This battery is used in the newer Leicas (M6/M7). It’s rather rare, most stores don’t reguarly stock them, so I buy in bulk when I find them cheap. Lithium cells have a shelf-life of about 10 years unused. The CR 1/3N is the same size as two SR-44 silver-oxide batteries, and in a pinch you can tape together two SR-44 cells, which can be bought just about anywhere. They won’t last as long, but they’re good in a pinch. Leica SF-20 flash, point and shoot cameras, smaller SLRs, high-end LED flashlights. This is a pretty popular battery as it’s used in a lot of point and shoot cameras and smaller, consumer SLRs. Popular high-power LED flashlights (3 and 5 watt versions) use CR123As. You can buy them at Radio Shack and larger drugstores for $5-10 each or online for much much cheaper. The advantage of the CR123A over AA batteries is that the CR123A can power about a gazillion flashes before running out and it has excellent low-temperature performance. Lots of point and shoot and consumer digital cameras. This is a pretty popular battery as it’s used in a lot of point and shoot cameras and smaller, consumer SLRs. You can buy it at Radio Shack and larger drugstores or online for much less. Gossen Digisix, Digiflash, darkroom timers, calculators, watches, etc. This is a pretty popular watch/gadget battery. You should be able to get it in any drugstore or supermarket fairly easily. This is pretty much only used in my altimeter/barometer/compass super-watch. Classic battery operated lanterns (torches). Around $3 for zinc-carbon (heavy duty) to $8-9 for alkaline. The zinc-carbon have less than half the capacity (12 Ah vs 26 Ah) of the alkalines. 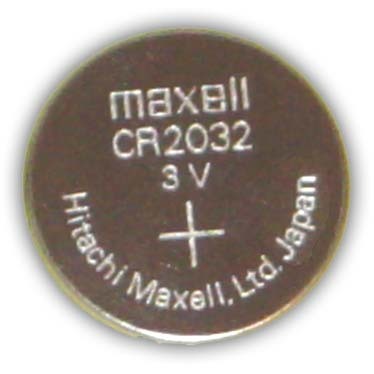 Standard transistor radio battery used in multimeters, lightmeters, colorimeters, and assorted other handheld electronic devices. Also used in smoke alarms. via Camera Batteries – a complete chart – Photoethnography.coms Classic Camera DB.